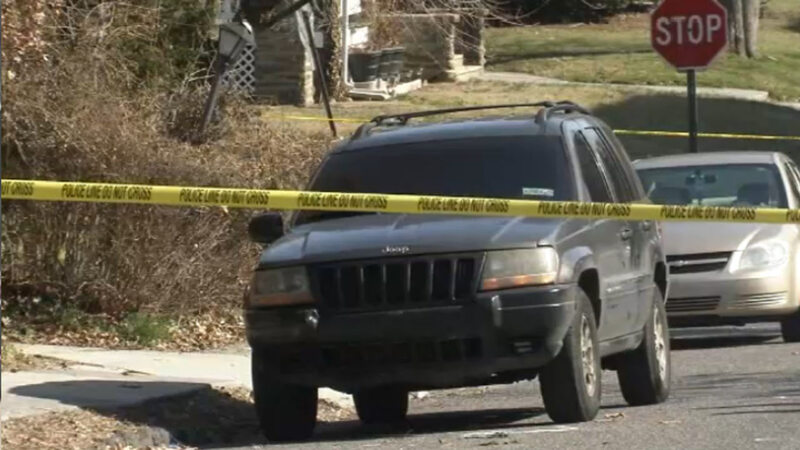 PHILADELPHIA (WPVI) -- Philadelphia police are investigating a suspicious death in the East Oak Lane section. Investigators say a 21-year-old man was found dead in his car on Wednesday at 68th Avenue and 13th Street. The victim, from Frankford, had been reported missing on February 3. The Crime Scene Unit spent time looking for clues around the victim's gray Jeep Cherokee. The victim, whose name we are withholding for now, was discovered dead in the back seat. He had suffered unknown wounds to the head. Police found shell casings in and around the car. They still need to go through the car more thoroughly. While the victim was reported missing 11 days ago, a source says it doesn't appear he had been dead for long when he was found around 9 a.m.
A passerby saw him unresponsive in the car. Police will now work to piece together where this young man from the Frankford section has been over the last 10 days or so. His family says he went to run an errand and didn't return.